Meatballs used to be a lot more popular than they currently are. People still like them of course, but not as many home cooks prepare them these days, as they did in the previous century. Meatballs take more time to prepare than simply frying up a pound of ground beef. When you’re trying to get dinner on the table as fast as possible, meatballs may seem more time consuming than they’re worth. On the other hand, meatballs are a delicious way of extending (currently) expensive ground beef, while lending variety to your dinner menus. Everybody liked meatballs, and since so few people prepare them from scratch anymore, they’re usually a nice surprise. 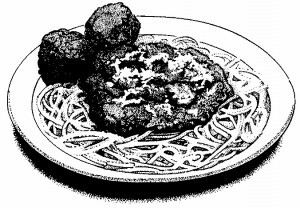 This recipe makes plain meatballs. After preparing them you can put them into any type of sauce you like. Canned spaghetti sauce is probably one of the easiest, but you can also coat them in bottled barbecue sauce (thinned with a little water) or homemade brown gravy. If you have another favorite sauce, such as curry sauce, milk gravy, sweet-n-sour sauce etc., then place your meatballs in it and let them simmer for about 10-minutes for the flavors to blend. Serve with rice or pasta or mashed potatoes. You can also add meatballs to stir-fried vegetables or casseroles or skillet meals. They’re versatile and seem a little bit more sophisticated than plain skillet-fried ground beef. This recipe suggests two different cooking methods–either frying in a skillet or baking in an oven. Choose the cooking method that’s most convenient for your kitchen. There are also two different quantities provided. The first uses 1-pound of ground meat, and makes enough meatballs for 4 to 6 servings. The second is made with 5-pounds of ground beef. The meatballs are intended to be frozen raw, and then cooked from the frozen state when you need a convenience meal. The 5-pound version is an excellent homemade convenience food. In a medium mixing bowl combine all of the ingredients. Use your hands (are they clean?) to mix it all up until the seasonings and oats are evenly distributed. Use wet hands to shape the mixture into 20 to 24 balls of meat. Roll the balls together like you used to roll play-dough balls when you were a kid. 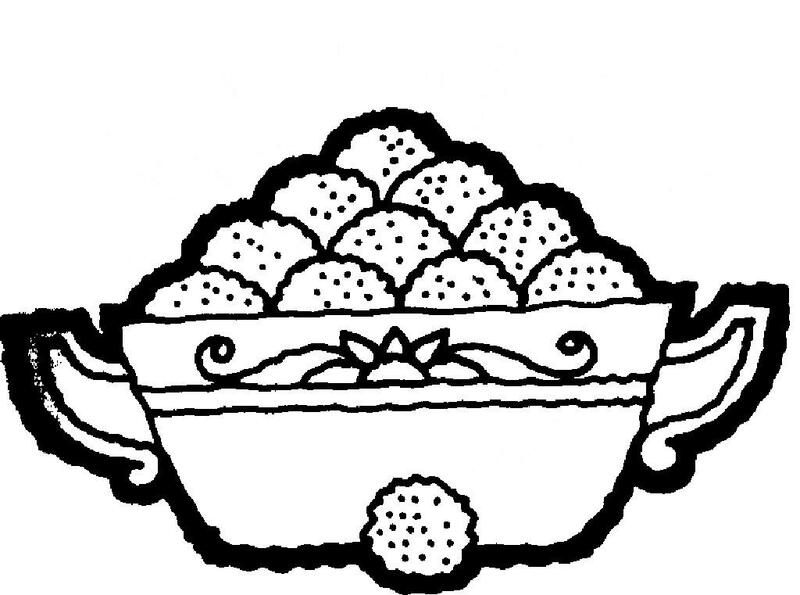 Continue until all of the mixture is formed into balls. Now you have 2 choices in the way you cook them. You can fry the meatballs or bake them. I always bake them, because it seems easier to me. But frying works just as well. To fry the meatballs, first get out a large skillet. Coat it generously with no-stick vegetable oil spray or rub it generously with solid vegetable shortening. Preheat the skillet over a medium heat. Place the meatballs in the hot skillet. Fry them for about 20 minutes, turning them now and then, until they are evenly browned. Carefully drain off the fat when the meatballs are done cooking. To bake the meatballs, first get out a 9 by 13-inch pan. Line it with aluminum foil if desired. Coat the pan (or the foil) with no-stick vegetable spray or rub it lightly with solid vegetable shortening. Arrange the meatballs in the pan. Bake at 400° for 20 to 30 minutes, or until the meatballs are lightly browned and swimming in a pool of fat. Remove the pan from the oven and drain off the fat. To use the meatballs. Meatballs are normally served in a sauce of some sort. It can be as simple as canned spaghetti sauce or bottle barbecue sauce, or as complicated as mushroom wine sauce. Sweet and sour sauce, brown gravy, and pepper gravy are other traditional sauces. Simply heat the sauce in a skillet, add the meatballs and simmer for a few minutes for flavors to blend. Serve with rice or pasta or mashed potatoes. If you like to partially prepare your meals ahead of time, then you can cook the meatballs the day before you need them and refrigerate them overnight. When suppertime rolls around, heat your sauce in a skillet. Add the meatballs, cold from the fridge, and simmer for 10 to 15 minutes, or until piping hot. Use this recipe when you want to make meatballs for your freezer. Use fresh ground meat from the store, not meat that has been previously frozen. You will be freezing the meatballs after making them, so you need ground meat that has not been previously frozen. Get out 2 or 3 large baking sheets and line them with waxed paper. Check your freezer that you have enough room to arrange the baking sheets in them for a few hours while the meatballs freeze. Set the baking sheets aside. In a very large bowl combine all of the ingredients. Use clean hands to mix and mash everything together until it’s very well mixed. This will take a little time since you’re handling such a large quantity so take your time and do it thoroughly. 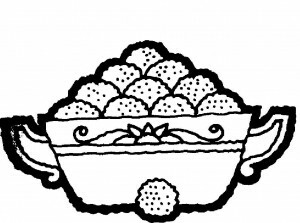 Shape the meat mixture into small balls, rolling them between your palms to make them round. Enlist a helper or two if you can because you will be shaping well over 100 meatballs. Make sure your helpers wash their hands first. 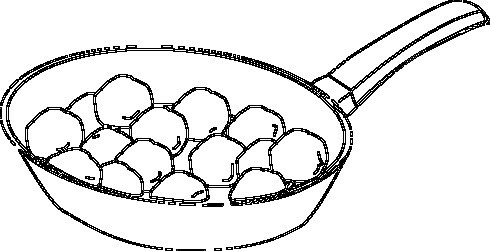 As you form the meatballs, place them onto the prepared pans. Try to keep them from touching one another. When you’ve used up all of the meatball mixture wash your hands and your helper’s hands and the mixing bowl in warm, soapy, bleach water. Send your helpers off with a homemade popsicle for a reward. Place the trays into your freezer and allow them to freeze for at least 4 hours, or overnight. Gather up all the hard frozen meatballs and pack them into freezer bags. Another option is to wrap a meal’s worth in plastic wrap and then overwrap with aluminum foil. Seal, date, label and keep in the freezer for 3 or 4 months. Their quality suffers a bit after this, although I have eaten meatballs that had been lost in the freezer for 6 months and they were still perfectly edible. They tasted better when they were fresher. Remember to wash the baking pans or trays thoroughly after removing the frozen meatballs. They’ve been in contact with raw beef, so they need to be well washed even if it seems like they are still clean. Don’t risk food poisoning. Wash your pans and play it safe. To cook frozen meatballs. I always bake frozen meat balls. I’m pretty sure you could fry them if you were of a mind to, but I have never done it myself. Line a 9 by 13-inch baking pan with aluminum foil if desired. Coat it with no-stick vegetable oil spray or rub it generously with solid vegetable shortening. Arrange your frozen meatballs in the pan. Bake at 400° for about 30 to 35 minutes. They should be lightly browned and cooked all the way through. Cut the largest meatball in half and examine it closely to make sure. Drop the cooked meatballs into your favorite sauce and serve to a hungry family. My family absolutely LOVES meatballs. 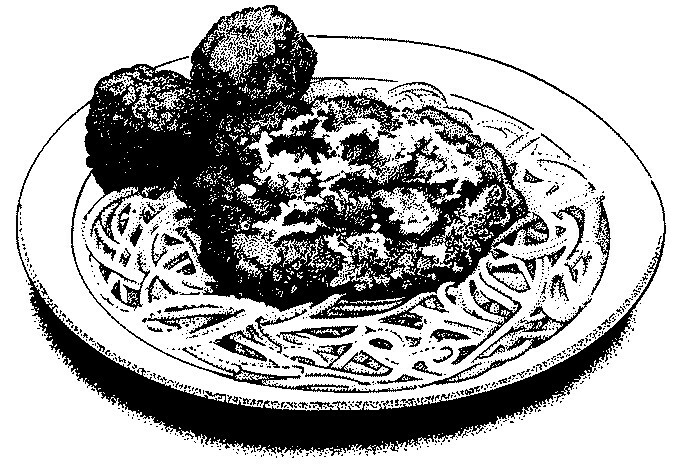 We regularly eat dilled meatballs, Swedish meatballs, and two styles of spaghetti meatballs. And thanks to your porcupine recipe, we are going to try those again as well! I love the idea of having frozen meatballs waiting in the freezer for my hour of need. Hi Sarah, sorry for my delay in responding to your comments. My family loves meatballs too. They’re cheap, relatively easy to make and they seem special when they’re on the supper table. Thanks for responding. I agree. Meatballs rock!